This method can be used on Windows 7/8.1/10. Generally, when you connect to your Wi-Fi network for the first time, you have to enter password. And Windows will remember that password so you don’t have to enter it next time. 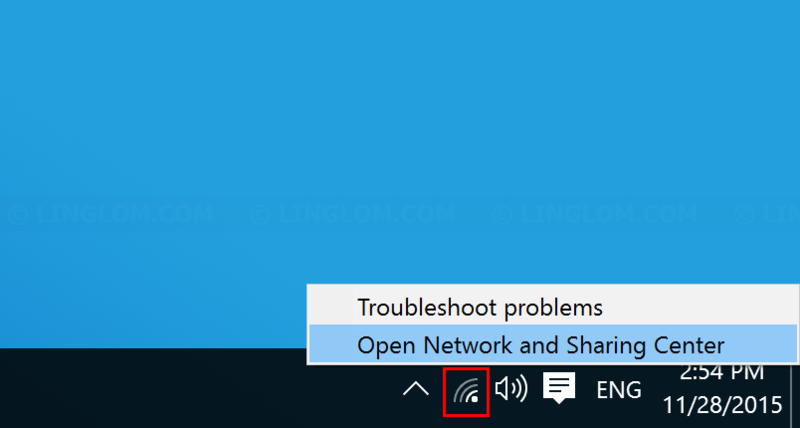 However, if you have a new smartphone or laptop which you want to connect to the Wi-Fi network, but you forgot the password, you can obtain Wi-Fi password which is saved on Windows. 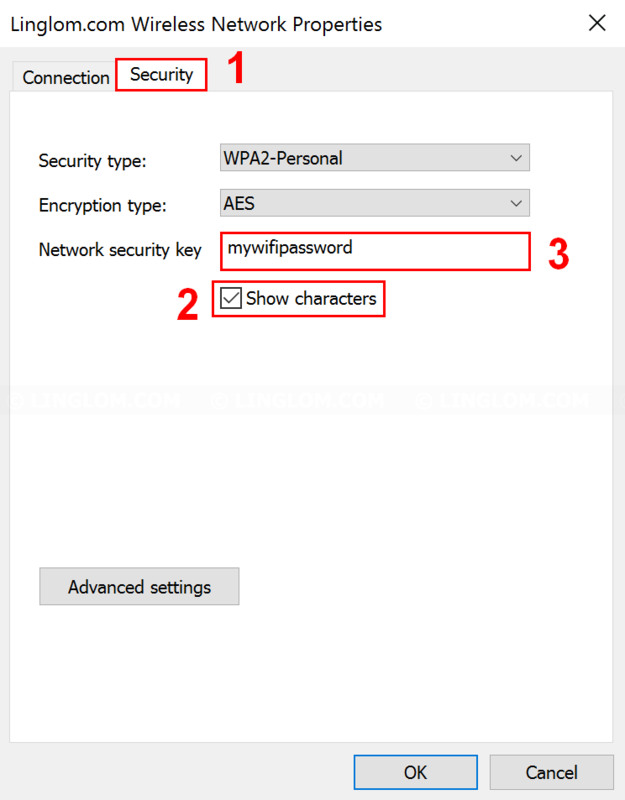 This article shows how to find saved Wi-Fi password on Windows 10. On Windows desktop, right-click on the wireless icon at bottom right and click Open Network and Sharing Center. Select Wi-Fi connection that you want to view saved password. Note: If there is no Wi-Fi connection, you may have to connect to it first. 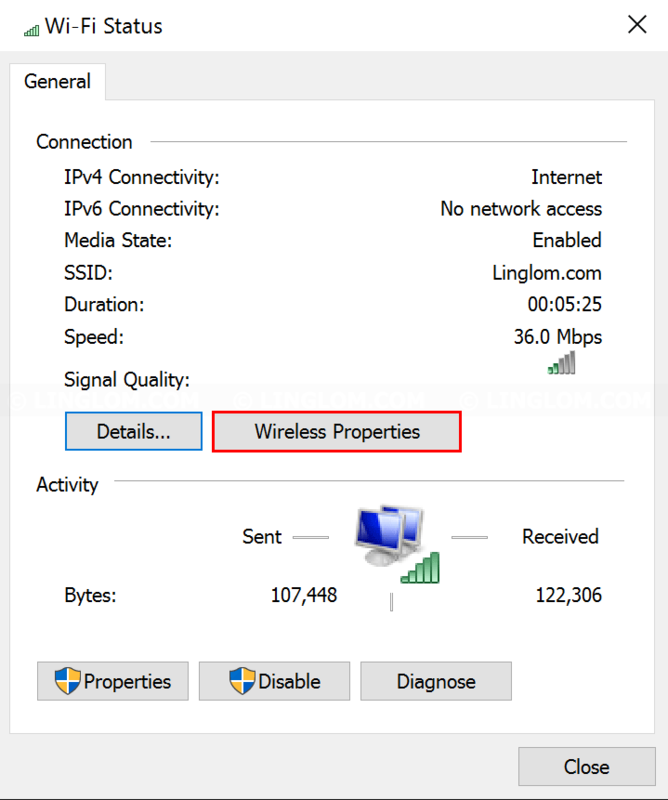 On Wi-Fi status window, click Wireless Properties. Select Security tab and check the option Show characters. You will see your Wi-Fi password on Network security key.